It’s now July and EALT’s 10th Anniversary year is well underway! We are celebrating 10 Conservation Lands in 10 years with all kinds of events to appreciate and conserve these important areas for wildlife and people. 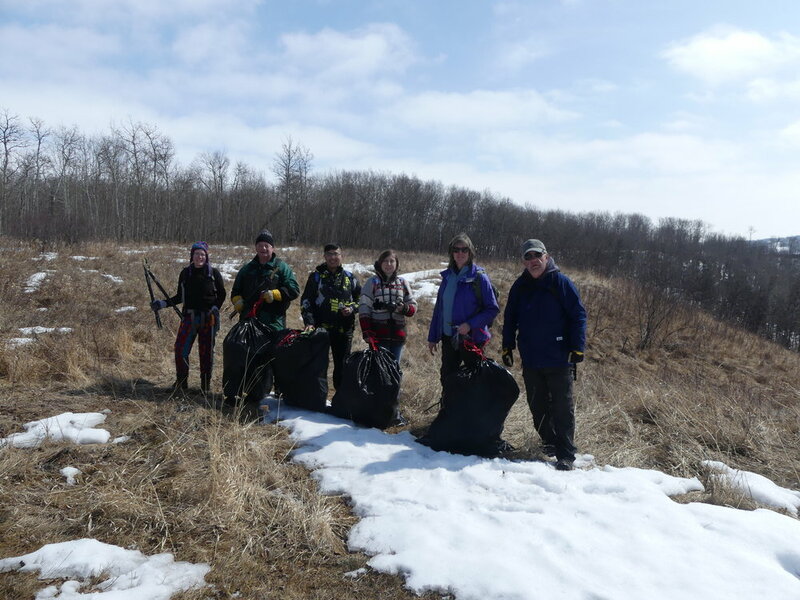 Our volunteers have already removed invasive plants and black knot fungus, and have surveyed our diverse bird life as well as other creatures that value this important habitat. There is still time to join us! Sign up to receive our volunteer newsletter to hear about opportunities, or sign up for an event here. Pipestone Creek Black Knot Removal. We removed 4 bags of tree killing black knot fungus, and found an old Warbling Vireo nest; a hanging grass basket. Bird and Plant Walk at Bunchberry Meadows. We spent several hours seeing all the cool wildlife and plants. The hit was a Great Horned Owl only a few meters off the trail! Weeding for Wildlife at Larch Sanctuary. 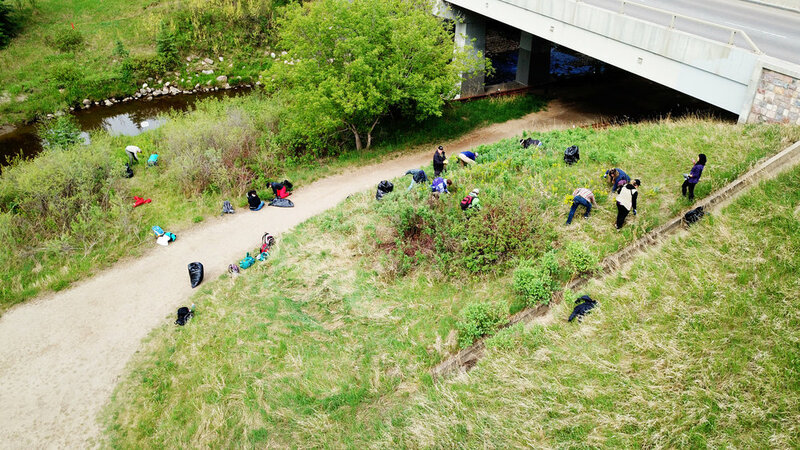 15 volunteers removed ~15 bags of Noxious weed Leafy Spurge which can poison plants and animals. We made a difference for wildlife!! Birding and Plant Tours of Lu Carbyn Nature Sanctuary. We surveyed birds and plants in this diverse conservation land not yet open to the public. Highlights included Gray Catbirds, American Redstarts, Solitary and Spotted Sandpipers, and some bear tracks. Bat and Owl Survey at Glory Hills. We found the Little Brown Bat, a species at risk, and even saw fireflies! Hicks Weeding for Wildlife and trail Maintenance. We were able to remove all the thistle visibly growing at the time, which is so rewarding, because so often in conservation there is still work to be done at the end of the day. Our Moose on the Loose at the Larch Weeding for Wildlife Event! 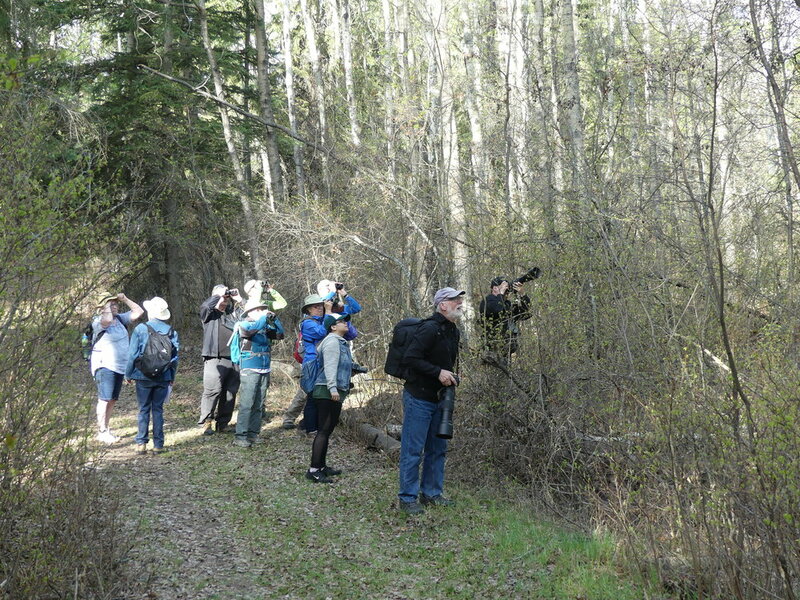 Gray Catbirds were heard and seen at the Lu Carbyn nature walks. Photo by Betty Fisher. We are not finished yet! There are still several special volunteer events and celebrations that you can participate in to help us celebrate our 10th Anniversary! Guided nature walks at Ladyflower Gardens with EALT. Featuring forest interpretive walk, forest meditative walk, Ladyflower gardens walk, and agriculture tour (July). Registration open now! Bat Box Installation at Bunchberry Meadows (July, event full). Bat Box Installation at Upcoming Securement (August). Boisvert Trail Maintenance and Nest Box Cleaning (August). Golden Ranches Nest Box Cleaning (August). Fun Facts: Moss or Lichen?